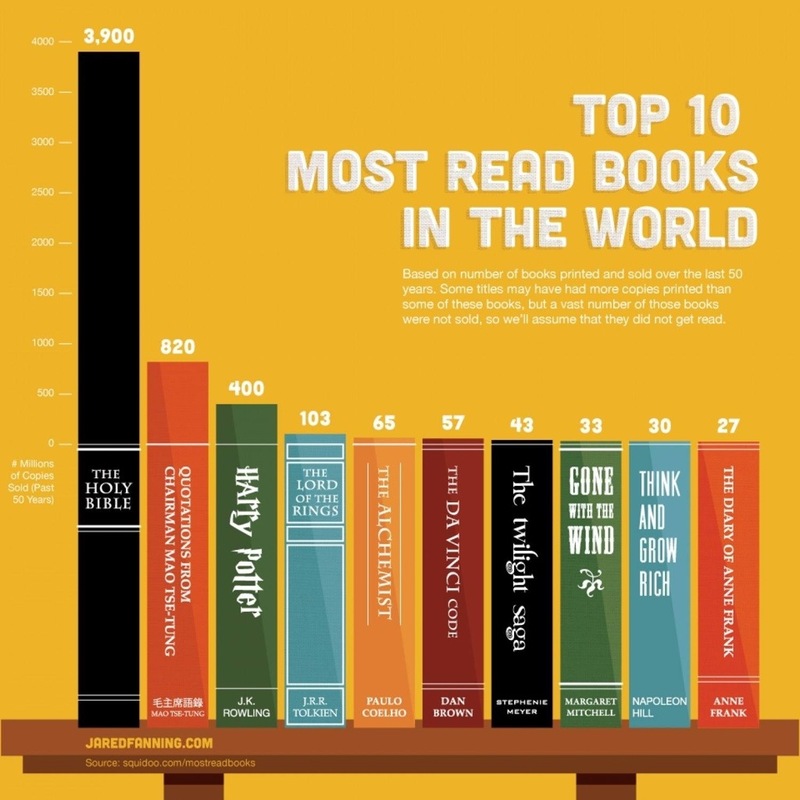 I came across this intriguing infographic recently that shows the world’s most read books, based on sales over the past 50 years. How many of the top 10 best-sellers have you read? I knew the Bible was popular, but more popular than Harry Potter? That was unexpected. I’ve read five of the ten—I think. I’ve watched the entire movie, Gone with the Wind; it’s really long. Does that count? I can’t remember if I made it all the way through The Alchemist. (It was that bad.) And Twilight? Really? In conclusion, I was not that impressed by this list. As an English teacher and lover of literature, I’d like to offer some alternative book recommendations. These are books from all genres that have touched me deeply. Books I wish I’d gotten to read in high school, or at least college, instead of whatever boring text was required by the syllabus. Books I find that I can come back to and reread and enjoy and benefit from and see differently, time and time again. Click here for a list of 11 truly amazing books that you absolutely must read if you haven’t. Previous Previous post: Why Thich Nhat Hanh Should Win the 2014 Nobel Peace Prize (& How We Can Help).